Integrated roller mechanism eliminates the possibility of roller damage during casing installation. Precision machined wear resistant rollers provide excellent rotational performance in high solids mud environments. Roller design helps to minimize plowing or bulldozing cuttings in high angle wells. Minimal roller contact area creates casing standoff which greatly reduces the possibility of differential sticking. Manufactured with materials suitable for HTHP well environments. The roller centralizer is with rigid body and straight or spiral blade. The centralizer body is processed by casting, the rollers is alloy steel and then heat treatment. Duo to the low friction feature and roller,it is easy to run between roller and inside of casing. The roller centralizer is used in horzontal or deviated well to centre casing. This kinds of centralizer can remove the wellbore stone and make the mud flow easily. The roller provides high wear resistance and has long life for centralizer. Our centralizer coating is powder baking in high temperature. 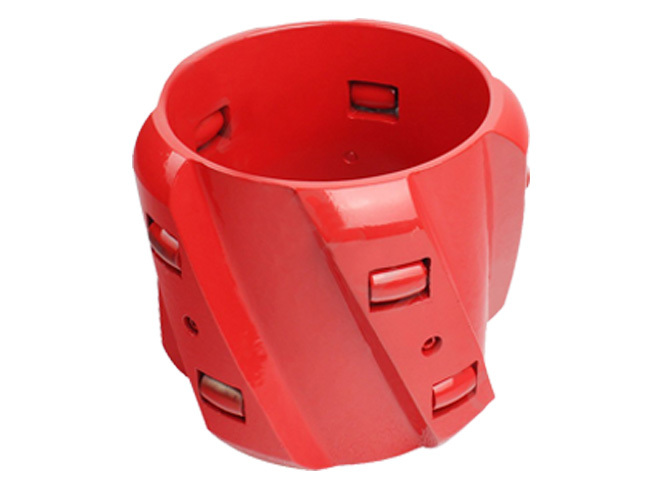 The roller centralizer sizes are from 4-1/2inch to 20inch,any special sizes are available according requirement.